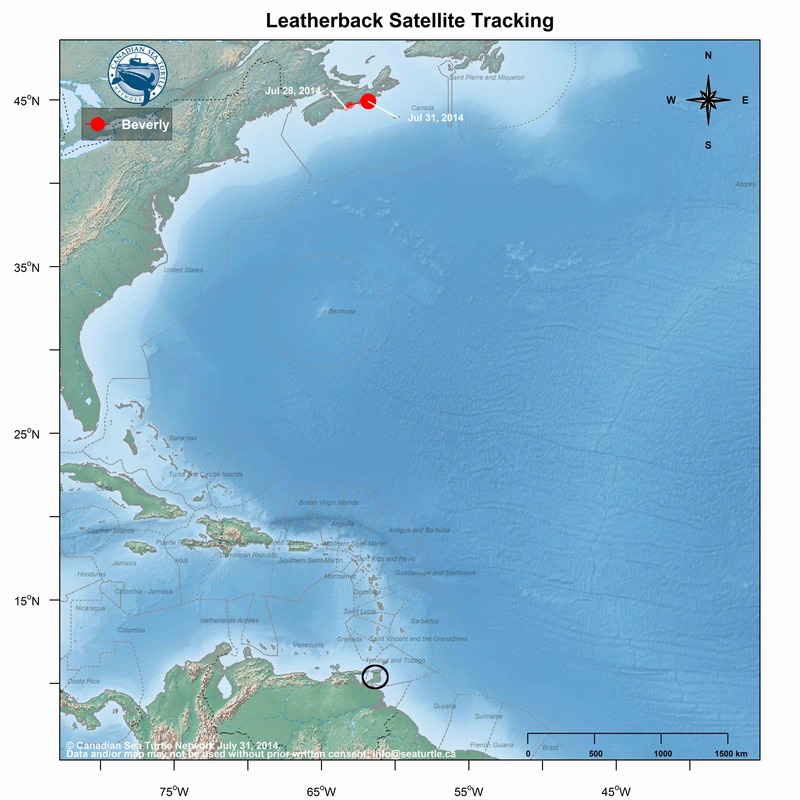 It has been a slow leatherback season so far. Lots of turtle-less days on the water. So we are thrilled to tell you that we have now satellite tagged Beverly! 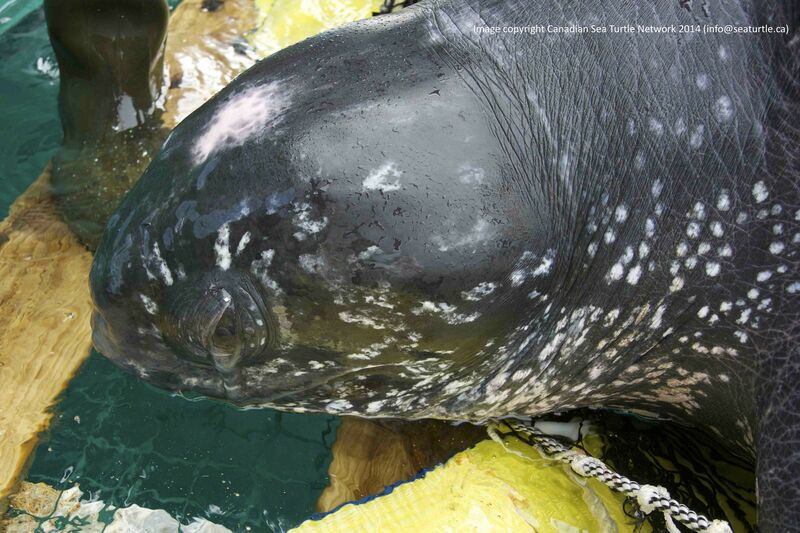 She is a female leatherback and she had flipper tags from Trinidad. We checked with Kyle at the Nature Seekers and they last saw Beverly nesting in Trinidad in 2013. That means there is a good chance she’ll nest again this coming spring. If that is the case, hopefully she’ll be found by our friends in Trinidad. If so, we’ll get her satellite transmitter back. This map shows how far Beverly has to swim between Nova Scotia and Trinidad. Beverly’s position is marked with the red dot. Trinidad is off the northeast tip of South America and is circled in black. But it’ll be more than a month before Beverly starts her trek south. At the moment, we’re really interested in how she is traveling in Canada. We find her track extremely interesting because she is hugging the coast of Nova Scotia. Although we expected her to continue to head up toward Cape Breton Island, it is unusual to see a turtle swimming quite so close to shore. This map shows you what I mean.